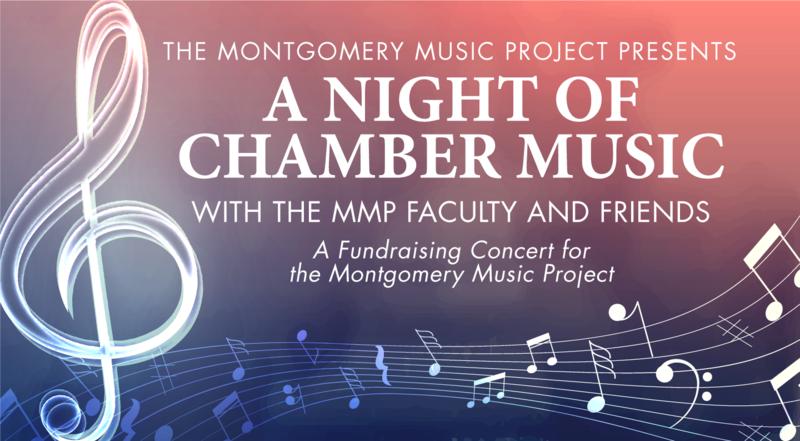 The Montgomery Music Project presents “A Night of Chamber Music”; a faculty and friends fundraising concert to benefit MMP and its programs. The concert will be held Saturday, February 2nd at 7 pm at Trinity Presbyterian Church. Tickets are $10 for adults and free for students. For more information, contact us at 334.240.4004 or montgomerysymphony@gmail.com.